Review of Simple Machines - Grade 4/5 Flipped! In our last Science unit, we learned that simple machines transfer energy to create motion. We studied a number of simple machines. 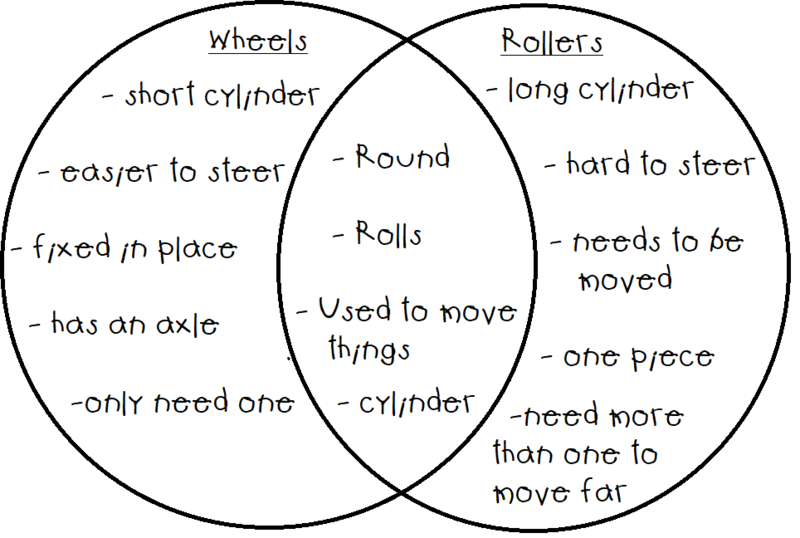 Take a moment and fill out the Venn Diagram to compare and contrast wheels and rollers. When you're finished, scroll down and check your answers. 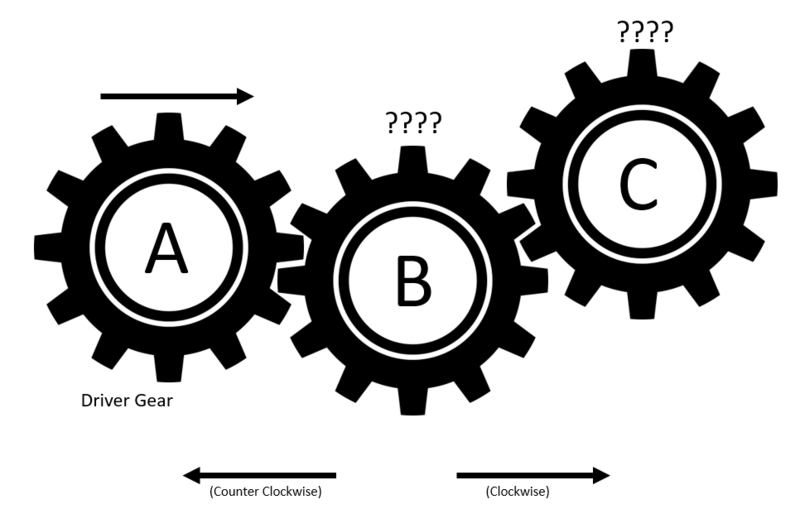 Another simple machine we studied was the Gear. Gears are wheels with teeth. The driver gear is the one that the force is applied to. A follower gear is one that gets its force from a driver gear. Use the picture below to answer the questions in your booklet. A class 1 lever has the fulcrum between the load and effort. When the load and effort are on opposite sides of the fulcrum, they move in opposite directions. e.g. nodding the head, a seesaw, or balance. A class 2 lever has the load between the fulcrum and the effort. Because the load and effort are on the same side, they move in the same direction. e.g. standing on tip toes, a wheel barrow, or bottle opener. A class 3 lever has the effort between the fulcrum and the load. Because the load and effort are on the same side, they move in the same direction. e.g. bending your arm, a hammer, a catapult or a fishing rod.